Here is this week's New England Championships performance list. Updates may take place in the next several days. 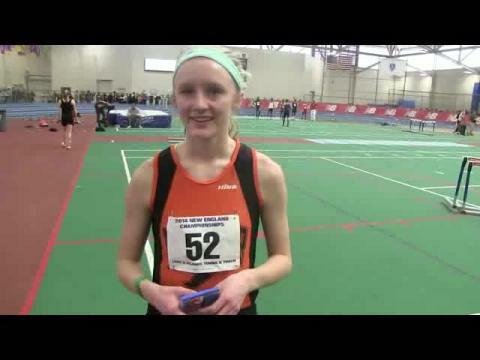 The New England Championships are complete and Milesplitmass covered every inch of the way. We had state records, meets records, and even a few national leaders. We will continue to bring you more photo's, video's, and articles as they trickle into the milesplit office. Boys meet summary by Stephen Mazzone of the 27th annual New England Indoor Track & Field Championships. Milesplimass tries to keep everyone up to date each and every invitational. The Live photo stream continues to be a very popular platform to let our fans know whats happening at the Reggie Lewis Center. 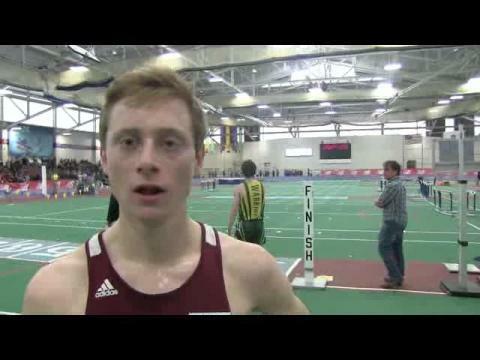 Andrew Bolze has high expectations for the New Balance Nationals in New York City the weekend of March 14-16. But first the Hingham High (MA) star will be looking to take care of business at a place that’s a little closer to home. Bolze, a two-time state titlist and nationally-ranked 300-meter runner, will be in Boston this Saturday for the New England Championship. He’s the defending champion in his specialty and there should be no reason to believe that he can’t do it again on the banked oval of the Reggie Lewis Athletic Center. Here's what MileSplit RI considers the state's top runners at Saturday's New England Championships. Proseprous day for R.I. athletes at New England Championships. Three returning champions and more than a dozen athletes on the high end of the national rankings. The girls’ competition of the New England Championship should do its part in electrifying the fans that gather at Boston’s Reggie Lewis Athletic Center on Saturday. 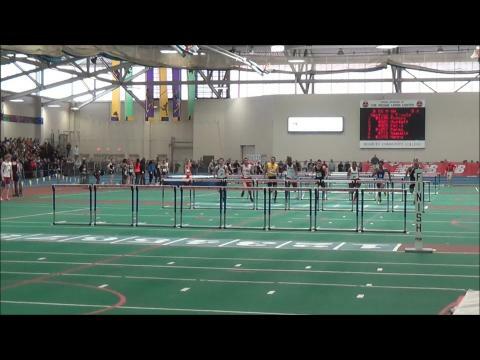 The 27th Annual New England Interscholastic Boys' and Girls' Indoor Track and Field Championships are scheduled for Saturday, March 1, 2014, at the Reggie Lewis Track and Athletic Center, Roxbury Community College, MA. Ursuline's Amy Piccolo has dominated her specialty for the past two years on the indoor circuit with little competition. 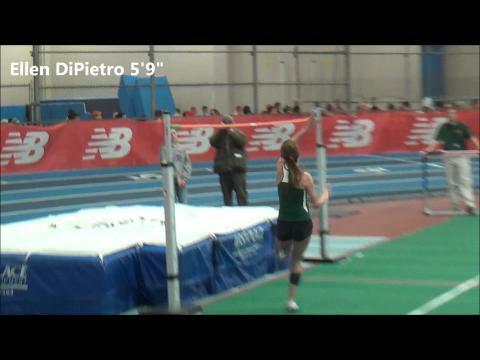 At Saturday's 27th New England Track & Field Championships at the Reggie Lewis Center, Piccolo locked horns with Bishop Guertin's Molly McCabe in a classic battle that resulted in a new Massachusetts record for the talented junior.